Caviart Farms maintains its own broodmare band of well-bred trotting and pacing mares. We raise and sell our yearlings privately and at major yearling sales. 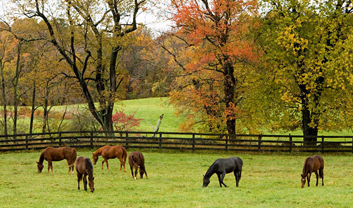 Please contact the farm to inquire about the yearlings that are currently available. 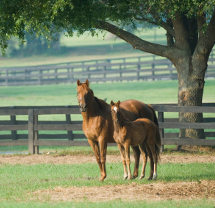 We provide the highest quality reproduction and boarding services for outside owned mares and their foals. Our customers include some the most prominent breeders in the industry and we are proud to care for some of the top trotting and pacing mares in the world. 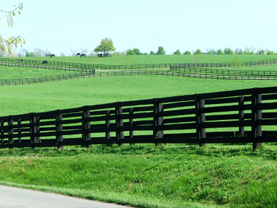 Breeders may board mares on a year-round or seasonal basis. Caviart Farms will prepare yearlings for sale at any of the major yearling auctions. However, as with everything on our farm, we believe in quality over quantity. Therefore we have limited available slots for yearlings to be prepped and preference goes to yearlings raised on our farm.